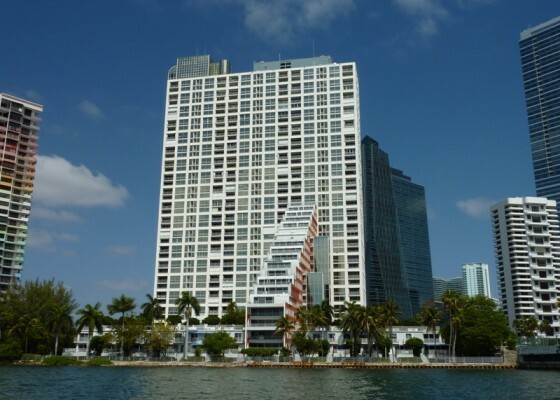 Condominium Onyx On The Bay Miami is located in rapidly growing district of Miami Edgewater. 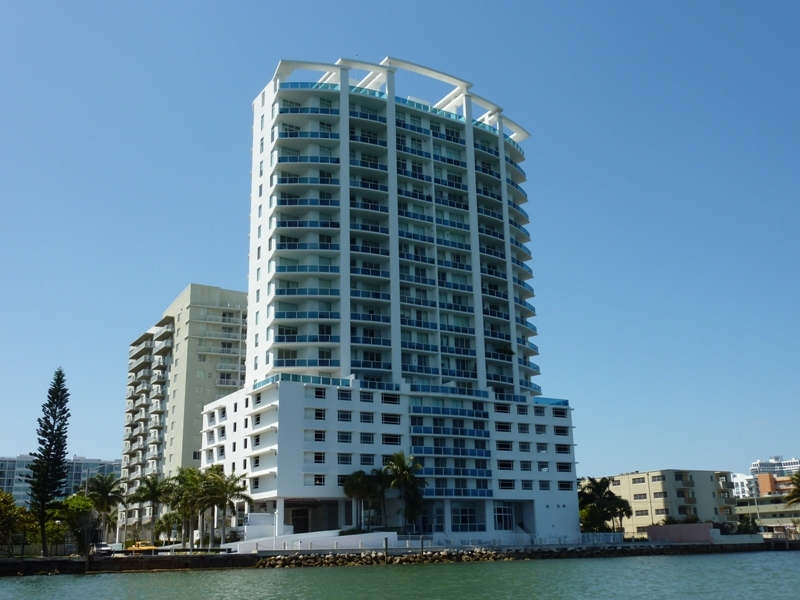 Reflecting its name the residential complex can boast of an "on the edge of water" location and beautiful views of Biscayne Bay from every residence. Elite residential tower built in 2007 offers 1-3 bedroom residences varying from 942 to 2 897 square feet in size, occupying 28 floors. The luxury of five-star resort is felt in each of 118 residences. 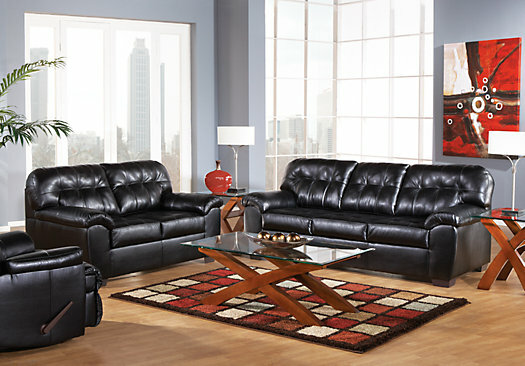 Spacious layouts have wealth of light and fashionable amenities. 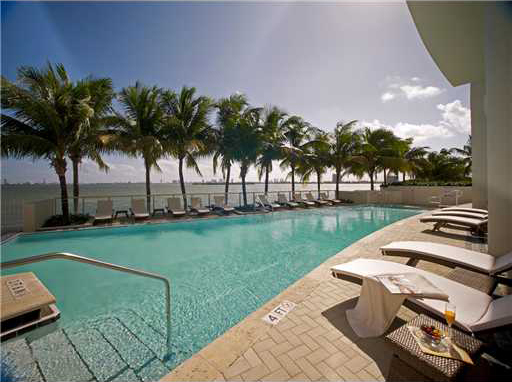 The luxury residences are equipped with granite and marble worktops, modern equipment, wide panoramic windows and private terraces that allow admiring the Biscayne Bay and Miami outlines. Amenities for residents include an ultra modern fitness center with yoga Studio, Spa, private cinema, sauna, billiard room, bar, barbecue area and a luxurious pool. 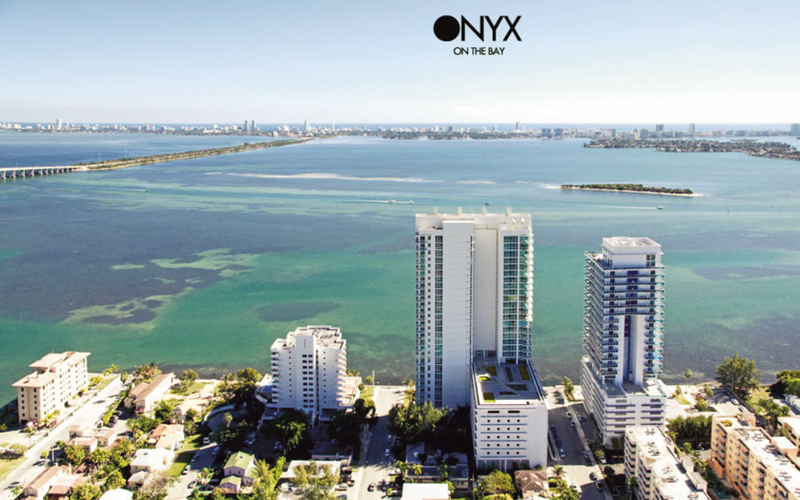 Onyx On The Bay Miami is located near Miami Downtown, providing quick access to abundance of shops, restaurants and business centers. 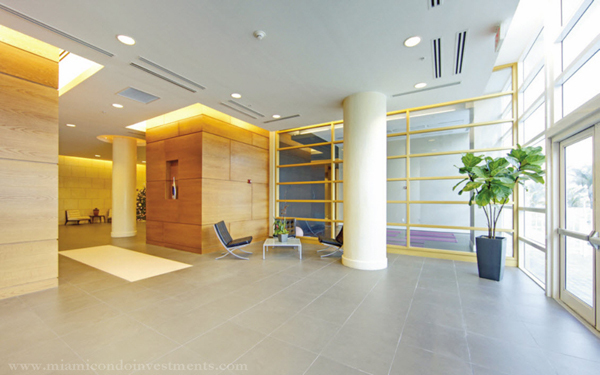 There are financial center of Miami, Brickell and Miami International airport, as well as best beaches and attractions of South Florida in a few minute drive from the tower.